Deadly motorcycle accidents in the United States increased by 10 percent in 2015, according to the Los Angeles Times. Estimates show that over 5,000 motorcycle riders died in 2015. This is a big jump from 4,548 that died in 2014. Unfortunately, many motorcycle injuries and deaths occur in California. This is mainly because California has the largest volume of registered motorcyclists in the country. Statistics show that nearly 12,000 California motorcycle riders were injured in accidents in 2013, according to the California Office of Traffic Safety. In addition to thousands of injuries, approximately 500 motorcyclists were killed in wrecks just in California. If you or a loved one suffered one, or a combination, of the injuries described above, you need to contact an experienced Fairfield motorcycle accident attorney to discuss your legal options. Incurred medical expenses (e.g., ER bill, ambulance bill, etc.). Future medical expenses (e.g., rehabilitative care, medications, etc.). Lost wages due to time missed from work (this includes the use of any vacation time you opt to use during your recovery). Pain and suffering (i.e., emotional and psychological harms associated with the wreck). Watch the YouTube below to find out more about motorcycle accidents. It is recommended you, at the very least, speak to a Fairfield motorcycle accident lawyer to get a full understanding of your legal options. Contacting a lawyer is a no risk, high reward proposition. It is no risk because the majority of personal injury lawyers in and around Fairfield provide free, no-obligation initial consultations to prospective clients. This means that if you do not like what you hear, you do not need to move forward. If you do like what you hear, you can hire the attorney and proceed with the injury claim process. 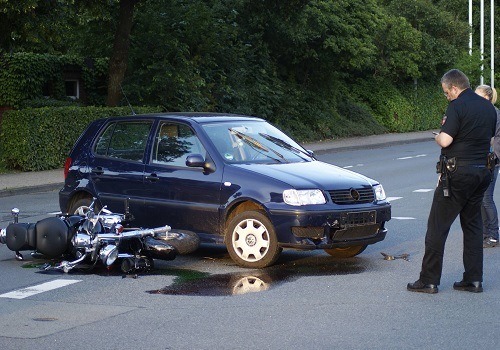 the lawyer has experience representing clients injured in motorcycle accidents. According to California Civ. Proc. §335.1, an injured party has two years from the date of the harm to file a personal injury lawsuit against the negligent party. This means if you attempt to file a lawsuit after two years, your case will likely get thrown out of court. Do not let this happen. Take legal action sooner rather than later. The circumstances of each case are different, which is why there is no definitive answer to this question. However, most personal injury cases do in fact settle outside of court. As the client, you retain the right to approve or deny any settlement offer made by the insurance company. Your lawyer will offer their advice and counsel, but the decision to settle is ultimately up to you. A motorcycle accident can result in the rider suffering serious, debilitating injuries that may affect them for the rest of their lives. This is why you need a lawyer who is on your side and will work to pursue maximum compensation. I’m Ed Smith, a Fairfield Motorcycle Accident Attorney. If you or a person you love has suffered a traumatic injury in a motorcycle accident or lost their lives in one, call me today at (707) 564-1900 to obtain some free and friendly advice. I’ve been helping residents in Fairfield and their family members since 1982. I handle cases involving wrongful death or serious personal injuries. Take a look at several of my past client reviews that appear on Google, Avvo, and Yelp. I am in the Million Dollar Forum. This fellowship is made up of the nation’s top-ranking injury lawyers who have obtained verdicts or negotiated case settlements that had a value of over 1 million USD. Some of the Past Verdicts and Settlements achieved by our injury lawyers can be viewed here. I founded AutoAccident.com, the leading website in Northern California for finding fast, accurate and current information about traumatic injuries resulting from motor vehicle accidents.